I grew up in Texas where there is only one season…HOT. The closest we got to fall weather was around Christmas. Over the years, my decorating style has shifted. 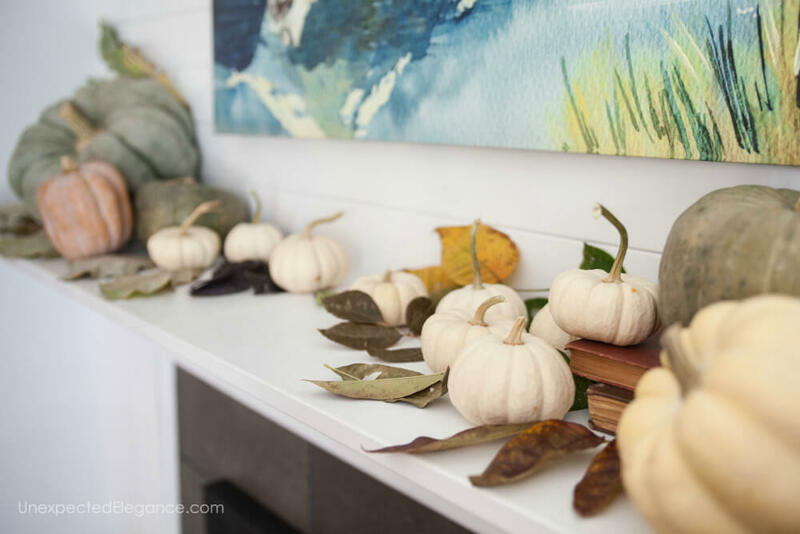 In the past, I had bins full of decor that I would bring out every season. (I still have a few for Christmas!) However, now I like to stick to more “real” decor and store less. I try to use fresh things like fruit or flowers that are blooming during that season. Most of the time I can find most of my decor in my yard! Other things, like pumpkins for fall, I get at the grocery store. 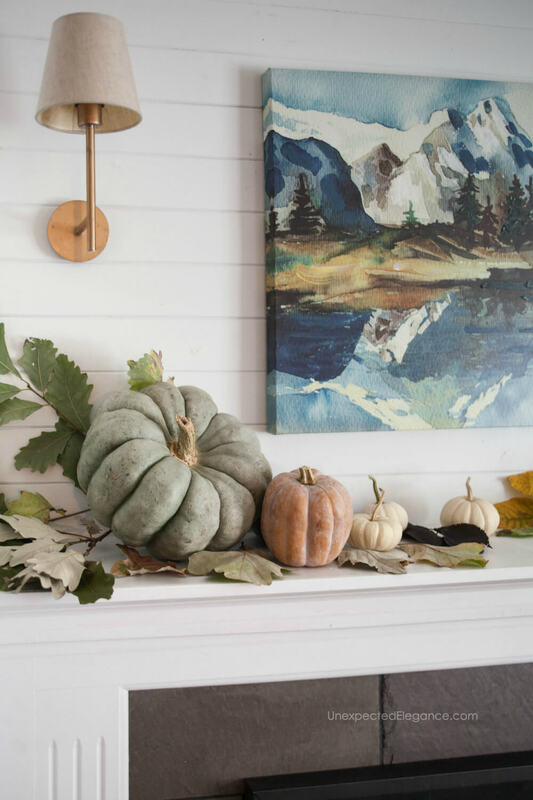 The best thing about choosing this type of seasonal decor is that most of the time it’s practical (we eat the fruit) AND there’s less stuff to store later! 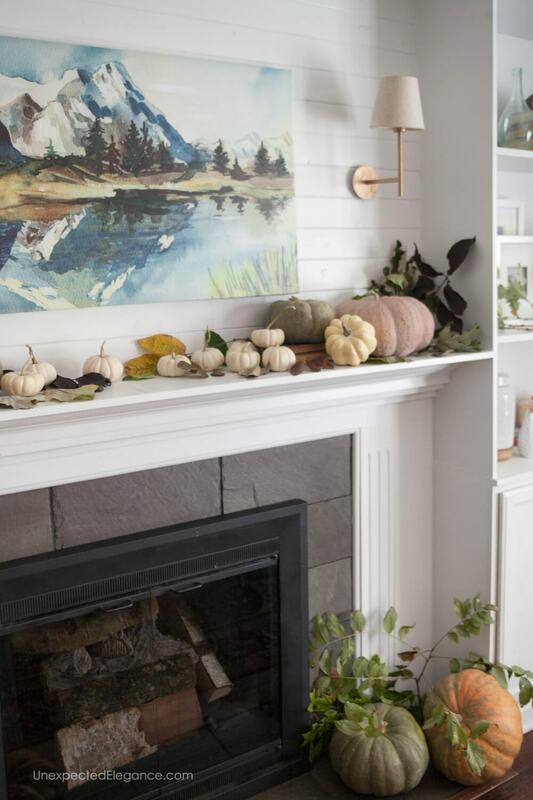 So today, I wanted to share my super simple fall mantel. 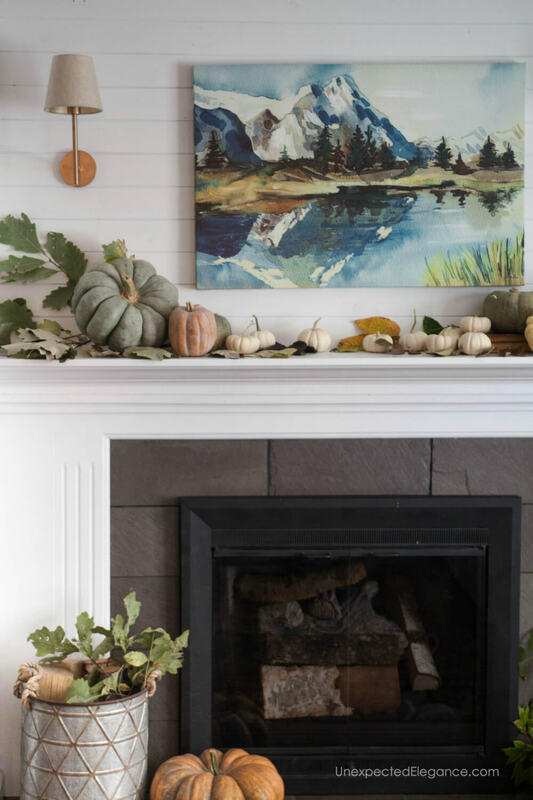 This is the quickest and easiest way to decoration to fall. I didn’t change out my artwork or living room color palette. I simply added in some pumpkins, squash, and leaves. Tuck in leaves and branches. 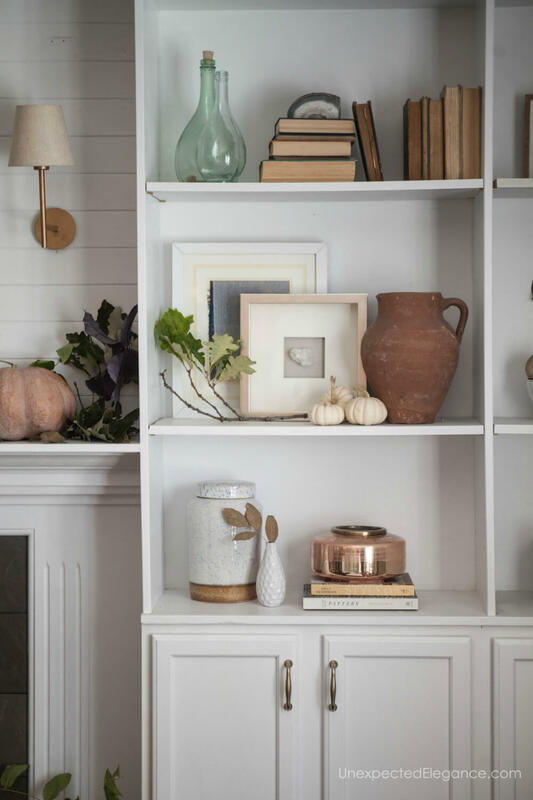 I love the more muted tones found in fall. However, if you like more vibrant hues, choose the bright oranges and reds. That’s what is great about pulling things from nature, there’s a wide spectrum of color. TIP: Make sure you check for bugs and spiders on the yard clippings…speaking from experience here. 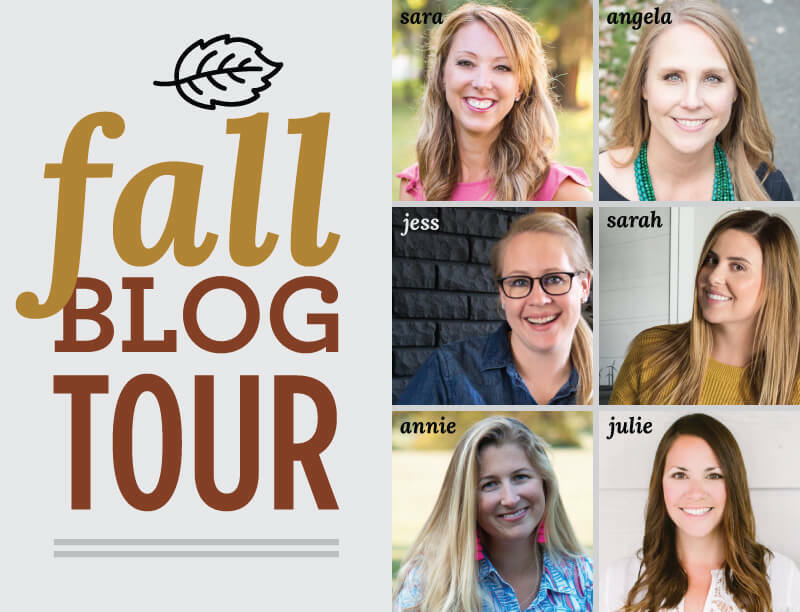 I’ve joined 5 other fabulous bloggers to bring you more fall home decor, so be sure to check them out! These ladies all have great style and you will love them. Links for their posts are below. 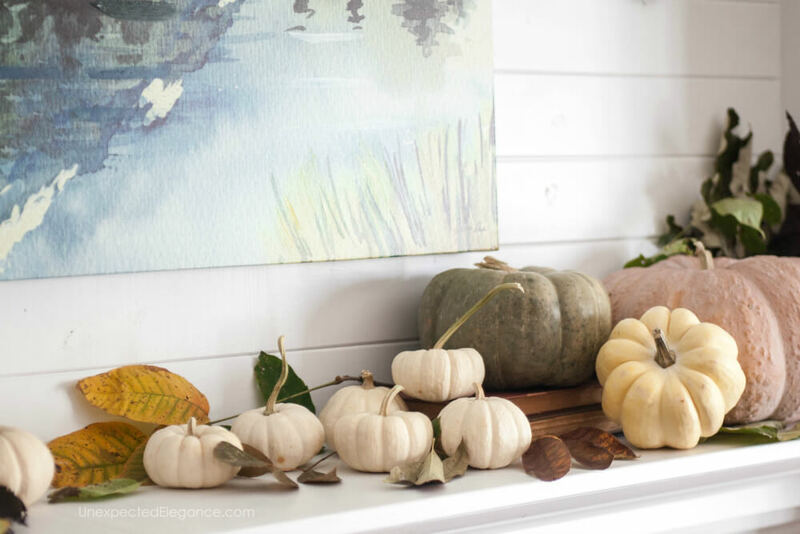 For more simple fall decorating ideas check out these posts. Good Morning, Angela!! 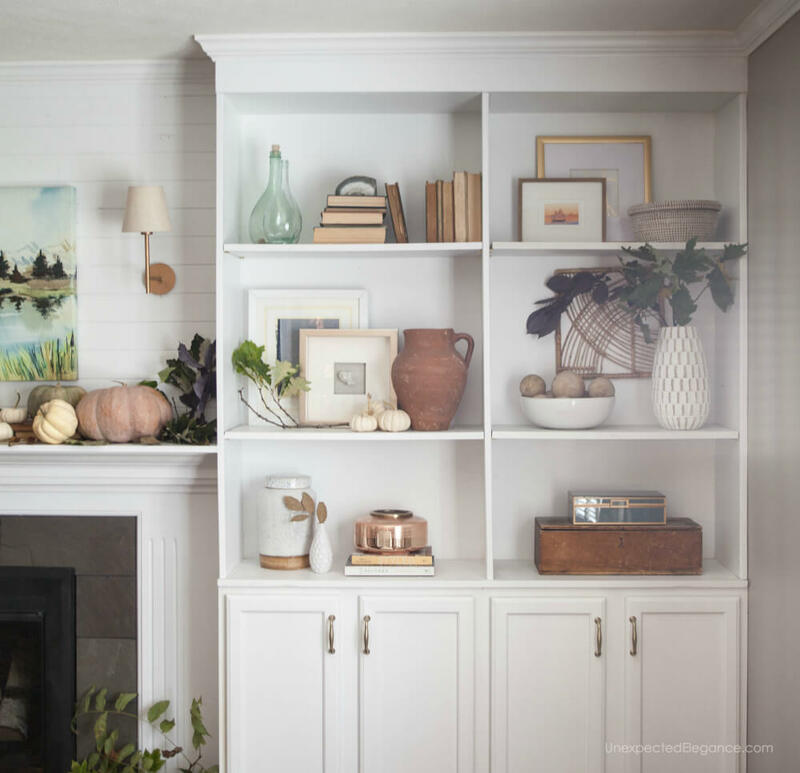 Your blog is lovely, as is your mantel!! Like you, I enjoy real, natural items with which to decorate. 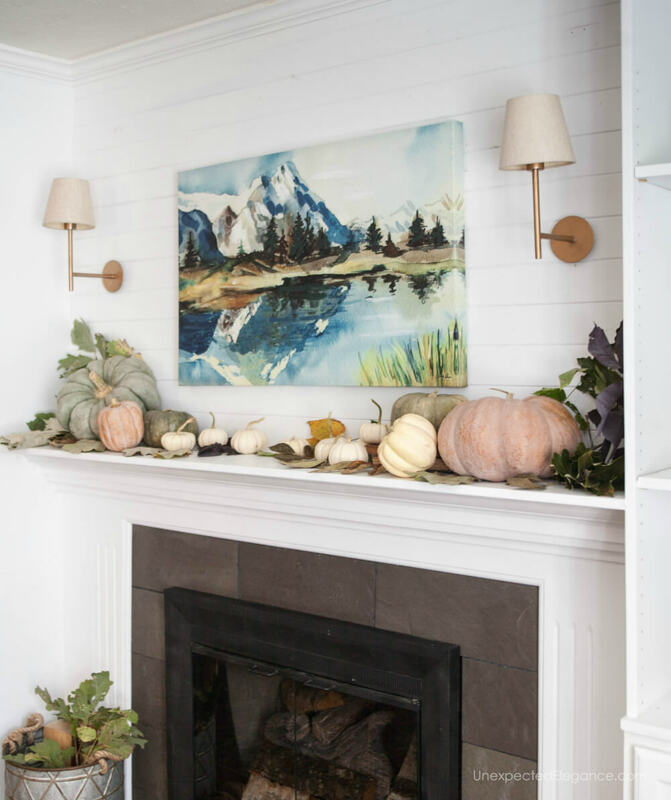 Little orange pumpkins in bowls and vignettes of candles and fall foliage fill our small, cozy apartment making it feel warm and welcoming! 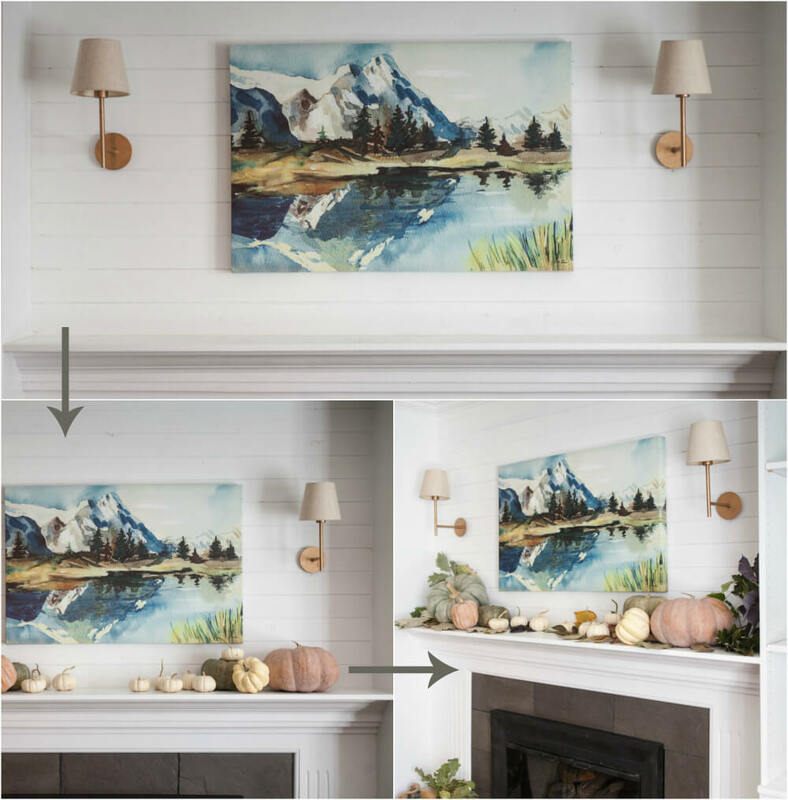 If I had a beautiful fireplace and mantel like yours, I’d copy you without question! 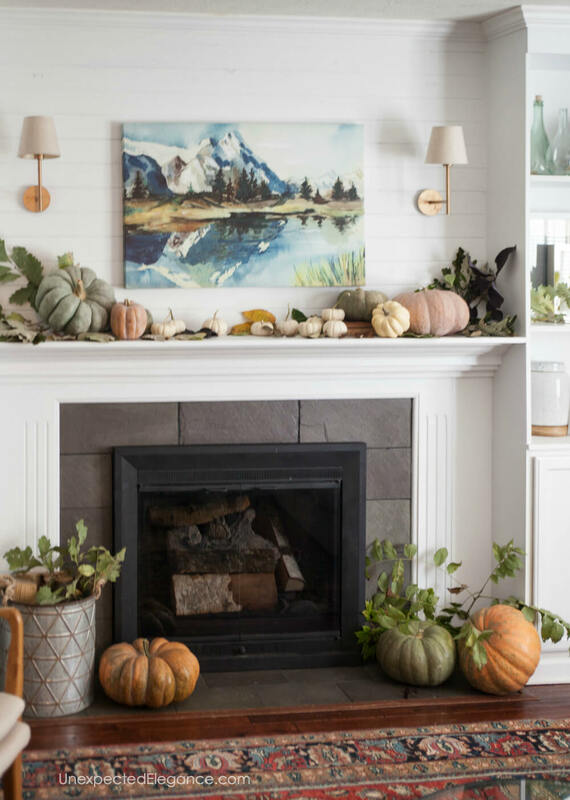 Your pumpkins are outstanding and your lovely branches full of fall leaves are perfectly placed!! My friend, you have definitely got some decorating talent in your blood!! Take care and I’ll make sure to sign up to receive your beautiful blog via email!! Happy Fall!! Beautiful home! I love how natural and effortless your decor looks. Happy fall!